This great clean original Registered Full Pint glass bottle is in great shape as you can see from the picture. 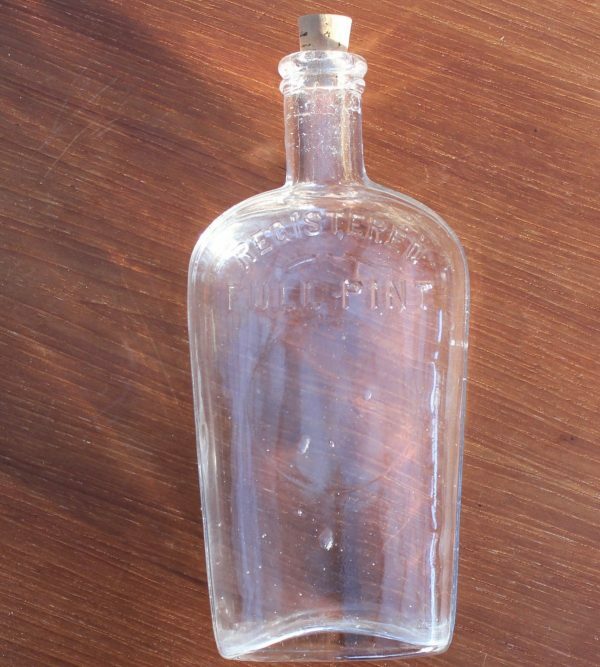 It has some large air bubbles within the glass when it was made. Stands 8 inches tall x 4 inches wide.